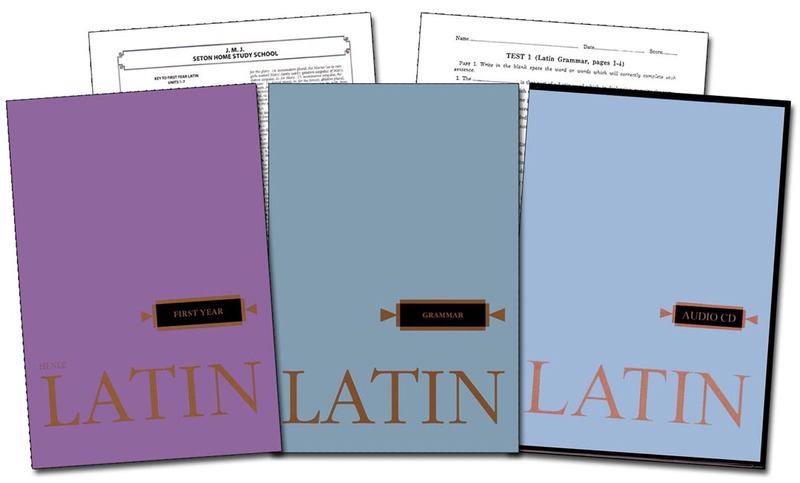 SAVE $5.00 when you purchase Henle Latin 1 Text and Text Key, Grammar Book, Tests with Partial Key, and the Audio CD pronunciation guide. A $53.00 value. *Please note that the TESTS are those used in Seton's First Year Latin Course. The Answer KEY contains the answers for the course's At Home Tests. The KEY includes the Key to Tests 2, 3, 5, 6, 8, 10-13, 15, 16, 18, 19, 21, 22, 24-26, and 28. It does not contain answers to tests 4, 7, 9, 14, 17, 20, 23, 27 and 29.